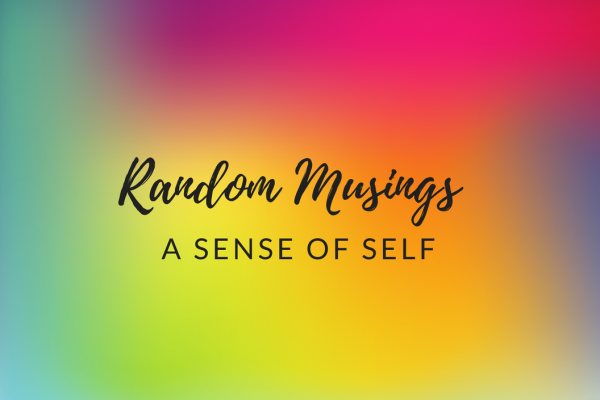 Random Musings is a series where I talk about what’s personally on my mind – sharing my thought processes on a certain topic. Warning, these may be a little bit ranty! I’d love it if people could let me know how they feel about the subject too! I have a big baby. He’s in the 97th percentile. His projected size on the ultrasounds was 8lbs 12oz, but he came out at 8lbs 2oz – still big, but no giant. He grew and grew and grew until at 6 months I was already lifting a baby above average for 12 months. Well that’s one way to get a good back and arm workout! As I write this, at 8 months old, he’s been wearing 12-18 months clothing for a little while. Every cute outfit I buy him he outgrows very quickly, but hopefully we’ll slow down for a bit now. I often get comments about his size and his weight. Of course, people don’t walk up to me and say “Oh my goodness, what a fat baby!” but he does get called chunky, chubby and plump on a regular basis, which all really mean the same thing. I can’t count the amount of time friends, family and complete strangers have said “What are you feeding him?”, and although I think it’s meant in a jocular way and I give a mini grimace-smile and say “I know, he’s a big boy”, deep down I kind of want to cry. I’m overweight myself – a constant battle – and I get that mum guilt edging in. 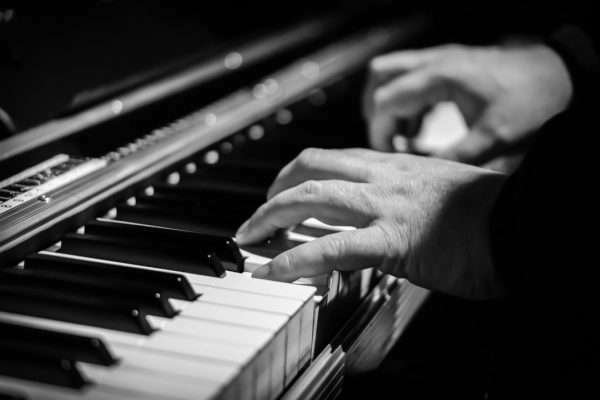 Do my own lifestyle choices reflect on him? Have I passed on some bad genes? He’s a baby – he’s drinking MILK – at the correct and appropriate amounts according to the health visitor. 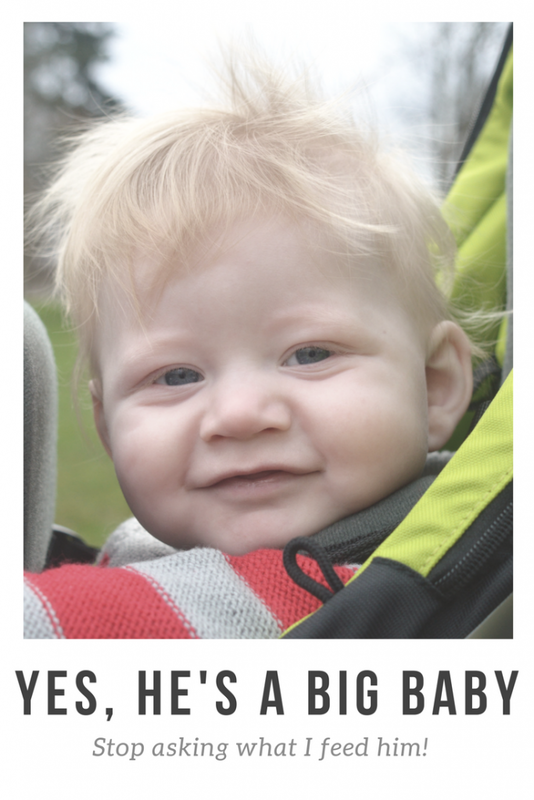 Once he was on baby led weaning, we were super careful – aware of his size and my families propensity to pile on the pounds – to introduce him to healthy vegetables and lean meats. The thing is, he’s perfectly in proportion, his height is at 97th percentile too, but no one is describing him as tall. From 6 months when we started baby-led weaning, he has eaten everything put in front of him. Except sprouts, those are spat out, and to be honest, I can’t blame him! When one rolls onto my plate amidst the other veg on a Sunday dinner I shudder in horror. He’s never had any sugar at all, never a sweet treat, not a single bite of cake. When I told my mum I wasn’t sure if I wanted to give him cake for his 1st birthday, she almost cried. Self-aware of my own poor eating habits and struggles from childhood, it’s really important to me that he doesn’t get used to walking around with a bag of sweeties in one hand and cake in the other. Carrot sticks, now those I can get behind. 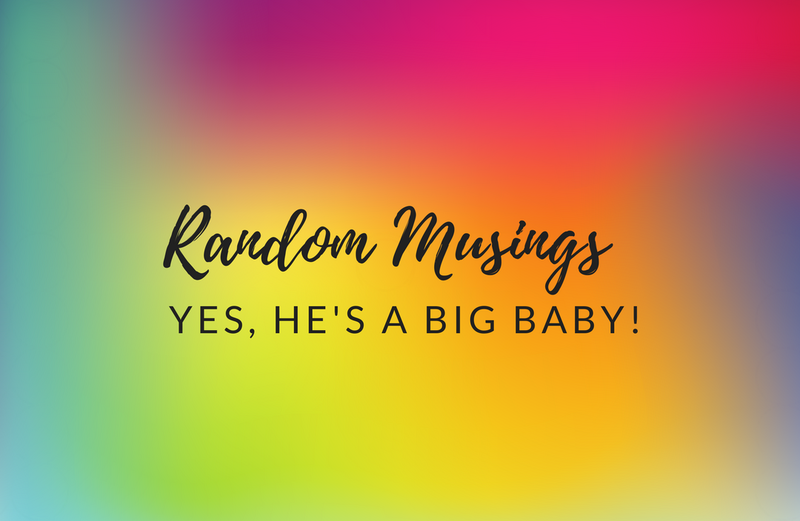 Every comment about his size just feeds into my insecurities – and being diagnosed with post natal anxiety means I really already have quite enough to worry about. So what am I feeding him? Exactly what I should be, thanks for asking. Were you genuinely questioning my parenting, or is it just a light-hearted joke? When it’s a stranger commenting, I don’t know. It feels a little judgemental, but is that my own insecurity and mum guilt showing? Why am I guilty about producing a healthy baby boy who just happens to be above average for size? It certainly doesn’t help that people comment on his looks on such a regular basis. “Those hamster cheeks!” I’ve heard from a dozen people, probably more. I had a checkout assistant comment on his fat rolls when he was in shorts, “His rolls have rolls, it’s so cute!” she gushed. “He’s like the Michelin man!” Yes, that’s what I’ve been told. Is it really that appropriate to be publicly commenting on someone’s natural body shape? Why are babies a free-for-all for every personal comment available? So I have a big baby. I don’t know if I’ll have a big son in general – but I’m definitely going to put a lot of emphasis on healthy eating and exercise as any parent should, no matter what the size of their kids. I might be rotund, but his dad is almost skeletal and very sporty, so between us we make two average sized parents. I’ll keep buying clothes every few weeks. I’ll keep listening to the comments. I’ll keep talking to the health visitor and making sure we’re on track. And I’ll keep being proud, and kicking that mum guilt back into the darkness where it belongs. But maybe if you’re looking at someone’s kid and you’re thinking about making a comment about their body or size – have a little think about it first, because he’s perfectly normal and perfectly healthy and perhaps a public comment isn’t needed. Thanks! The health visitor says the weight often falls off them when they’re up and moving. He’s just started crawling this week but I don’t think I want him running around too soon. It’s enough to keep an eye on him as it is! Absolutely. I don’t think anyone means to insult. In part it’s my insecurities and anxiety that make a meal out of nothing, so I definitely try to keep that in mind! But it does become grating when I get so many comments about it. Thanks for the support! Oh who cares what anyone else thinks?! I’ve just followed you on IG – expecting to see some monster baby and he’s the cutest thing. Looks very happy and healthy to me! Keep going as you are – you’re doing a great job! Thank you for your kind words 🙂 I’ve followed you back! Just had a nosey on your Instagram and followed you. Your little man is gorgeous! Aww, he is such a cute baby and looks incredibly healthy and that’s what matters. I had a wee one born at 5oz and people would always say “she’s so tiny!” and i would feel self conscious especially when she was half the size of some of the other babies at 6 months but I know they didn’t mean it in a bad way but I get where you’re coming from – it’s not a necessary comment and talking about the physical things that mum cant change makes us feel self conscious. Thank you, you’re absolutely right!